GiroPets - Free Virtual Pet Games Site and Online Dress Up Game - Welcome To GiroPets ! GiroPets is an ever-growing website open to members of all ages where you can create (or adopt) a virtual pet (25 species to choose from !) and take care of it, feeding and playing with them, and even training them for The Arena in the University. 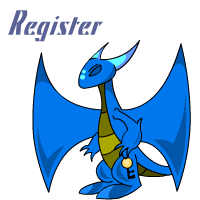 You can also buy and sell a variety of different kinds of items, own your own Stand in the Flea Market, communicate with other GiroPets members, and play games in the GameRoom. If you aren't a member yet, then you can register now for FREE ! A brand new shop opened up in the Downtown Shopping Area - the Computer Shop. Computer-related items are being sold at this shop now instead of the Gift Shop. More items related to computers have been put into circulation as this new shop was released. Read more news at the News page. Enter your desired username below. View reasons by clicking HERE. Click HERE to view GiroPets's Flash Intro.